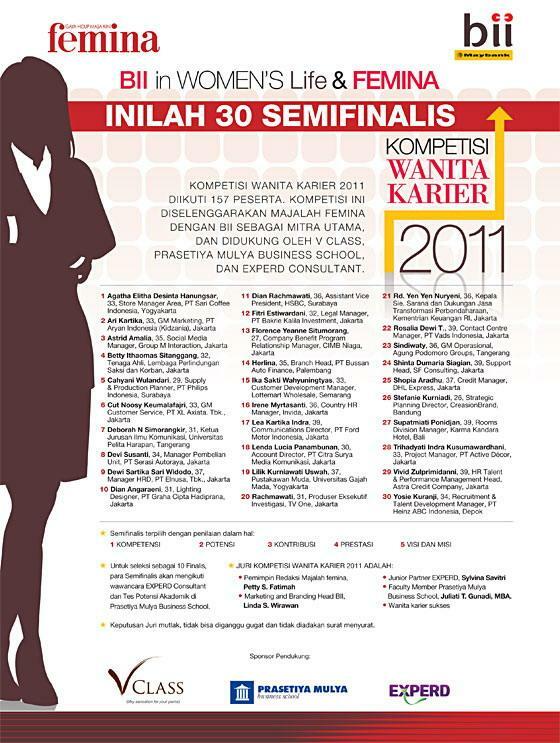 It was a surprise for me that I was nominated by the Femina Magazine to join the Career Women Competition 2011 (Kompetisi Wanita Karier 2011). And that's it! I only reached to the semi-final. But hey, I am so glad and proud to be a part of the competition. It is an achievement for myself for all the little things I do in my life. Just a little achievement that I can save for my future career. 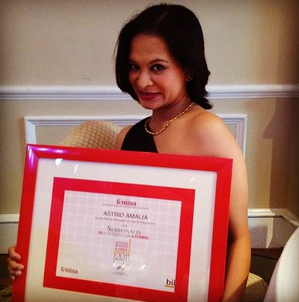 Femina Magazine is one of the biggest magazine for Women, Career, Business & Lifestyle in Indonesia. The magazine have been interviewed me for some topics, like: Yoga, Health, Social Media, etc. It is cool, isn't it?